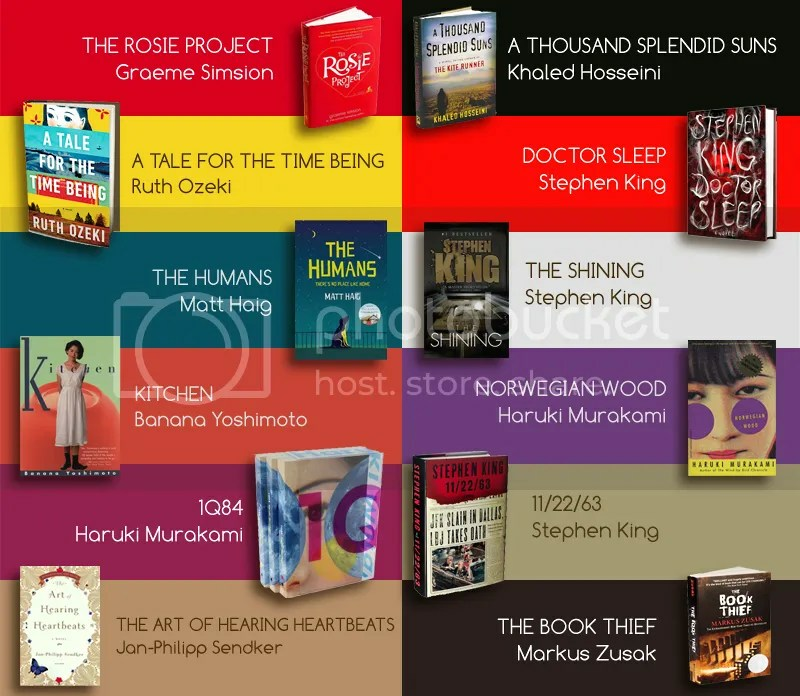 Categories: 2013 Reads, Bookish & Random Thoughts, Favorite Books | Tags: 11/22/63, 1q84, a tale for the time being, a thousand splendid suns, Banana Yoshimoto, doctor sleep, Graeme Simsion, Haruki Murakami, Khaled Hosseini, kitchen, markus zusak, matt haig, norwegian wood, Ruth Ozeki, Stephen King, the art of hearing heartbeats, the book thief, the humans, the rosie project, the shining | Permalink. 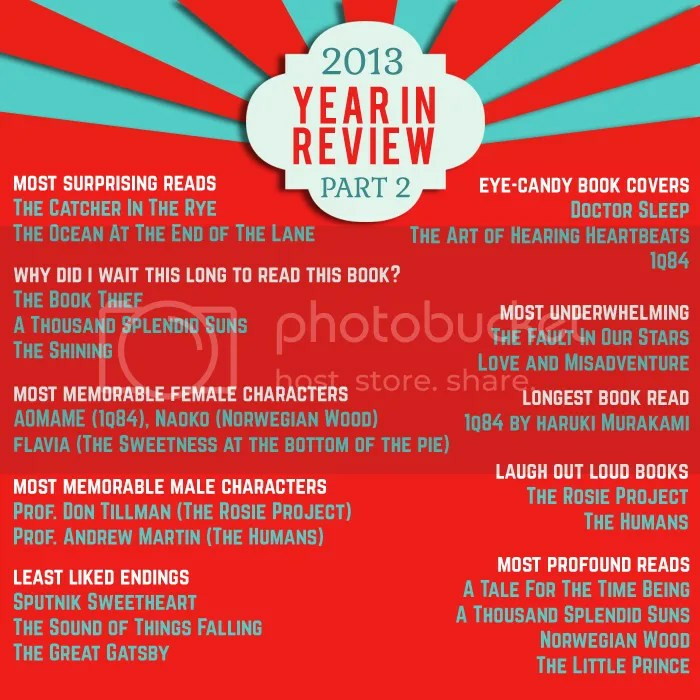 Categories: 2013 Reads, Bookish & Random Thoughts | Tags: 2013 books, year in review | Permalink. 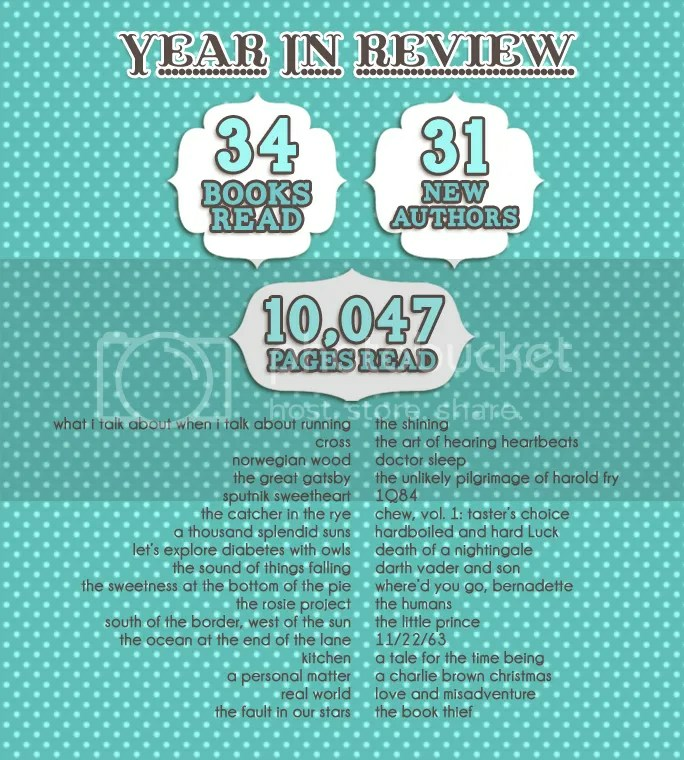 2013 was a great reading year for me. I read so much books (for pleasure) compared to previous years. I would attribute this to the fact that I have recovered from a reading rut and boy, does it feel good! What cured me? One word, people. One word. Murakami. Okay, I change my mind. Let me go into the details. 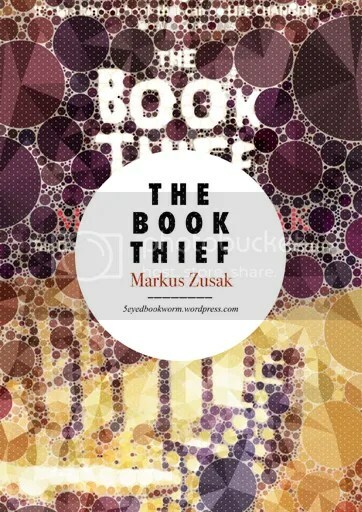 Categories: 2013 Reads | Tags: 2013 books | Permalink.